A unique arched "x" shape frame finished in a gunmetal grey combines with diamond plate pattern chrome finished accents to create a bold and clean look in this contemporary style twin over twin bunk bed. 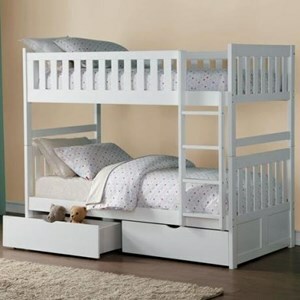 The top bunk is framed in with clean vertical and horizontal bars which are echoed in the design of the ladder. 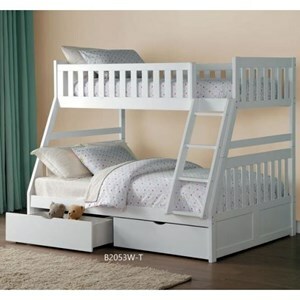 Bring this bunk bed home and sleep overs will be brought to a whole new level. 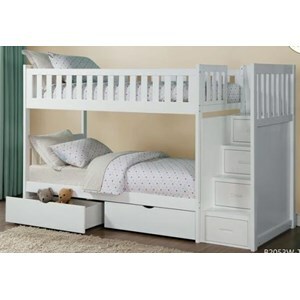 The Spaced Out Contemporary Bunk Bed with Chrome Accents by Homelegance at Beck's Furniture in the Sacramento, Rancho Cordova, Roseville, California area. Product availability may vary. Contact us for the most current availability on this product.